The architectural RMW Series recessed ceiling emergency light will complement any decor with its low-profile, unobtrusive design. 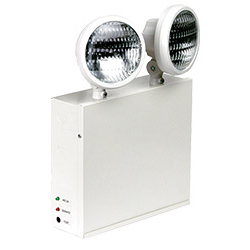 Combining a rugged steel enclosure with incandescent or long-life LED lamp heads and reliable electronics, this fully recessed emergency unit is ideal for use in restaurants, office buildings and public locations needing a low-profile aesthetic. 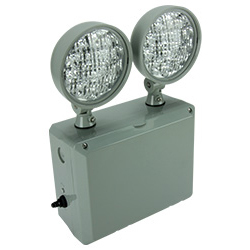 The NY-LL Series steel emergency light fixture combines performance and dependability into a rugged 20 gauge enclosure. The NY-LL is available in several battery wattages and lamp styles to complement any application. 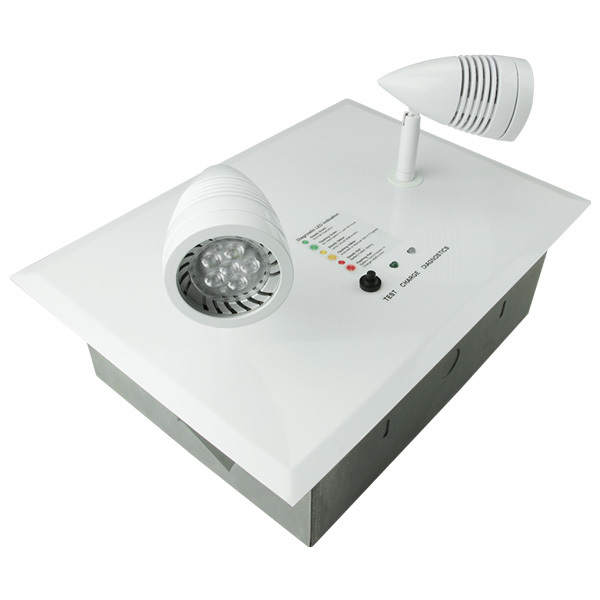 The LEM54-N4 Series thermoplastic emergency lighting unit combines a low-profile, contemporary appearance with economy and dependability. Constructed of an injection-molded, V-0 flame rated, high-impact, UV-stabilized thermoplastic housing, it is ideal for high-vandalism, Wet Locations and is resistant to corrosive atmospheres and non-hazardous dust environments. 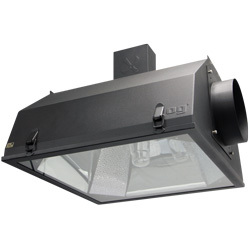 The CRL Series LED emergency lighting unit combines performance and dependability into a specification-grade steel enclosure for recessed T-bar ceiling applications. Features standard tool-less front battery accessibility for ease of maintenance. 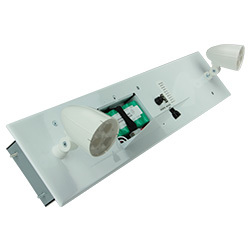 RMW Series Architectural Recessed Emergency Lighting Unit/nThe architectural RMW Series recessed ceiling emergency light will complement any decor with its low-profile, unobtrusive design. 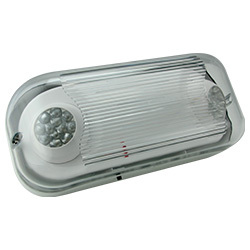 Combining a rugged steel enclosure with incandescent or long-life LED lamp heads and reliable electronics, this fully recessed emergency unit is ideal for use in restaurants, office buildings and public locations needing a low-profile aesthetic.